This entry was posted in Cybercrime, Malware, NEWS & INDUSTRY, Phishing, virus & malware, Virus & Threats on April 18, 2019 by Ionut Arghire. This entry was posted in Cybercrime, Cyberwarfare, Ics, Malware, NEWS & INDUSTRY, Scada, virus & malware, Virus & Threats on April 17, 2019 by Eduard Kovacs. This entry was posted in Cybercrime, Cyberwarfare, Malware, NEWS & INDUSTRY, SCADA / ICS, virus & malware, Virus & Threats on April 17, 2019 by Eduard Kovacs. Brazil does not have a highly organized hacker underground in the same way as Russia and eastern Europe. Most of the malicious activity by Brazilian actors is within Brazil against Brazilians. The primary reasons are geography and language, and very strict money moving laws. But this does not mean that Brazil lacks hacking capabilities, nor that the rest of the world can ignore Brazilian hackers. This entry was posted in Cybercrime, Fraud & Identity Theft, Malware, NEWS & INDUSTRY, Phishing, Virus & Threats on April 17, 2019 by Kevin Townsend. Iran-linked cyber-espionage group OilRig is making broad use of DNS tunneling across its tools portfolio, Palo Alto Networks security researchers reveal. This entry was posted in Cybercrime, Malware, NEWS & INDUSTRY, virus & malware, Virus & Threats on April 17, 2019 by Ionut Arghire. The Scranos rootkit-enabled spyware operation has expanded reach outside of China to hit targets worldwide, Bitdefender security researchers warn. This entry was posted in Cybercrime, Malware, NEWS & INDUSTRY, virus & malware, Virus & Threats on April 16, 2019 by Ionut Arghire. Norwegian aluminum giant Norsk Hydro last week announced that its financial report for the first quarter of 2019 will be delayed by over one month due to the recent cyberattack that caused significant disruptions to the company’s operations. This entry was posted in Cybercrime, disaster recovery, Incident Response, Management & Strategy, NEWS & INDUSTRY, Virus & Threats on April 16, 2019 by Eduard Kovacs. This entry was posted in Application Security, audits, NEWS & INDUSTRY, Risk Management, virus & malware, Virus & Threats on April 16, 2019 by Ionut Arghire. Hackers breached Microsoft email services (Outlook.com, Hotmail, MSN) and accessed user accounts after compromising a support agent’s credentials, Microsoft has confirmed. This entry was posted in Cybercrime, Identity & Access, Incident Response, Management & Strategy, NEWS & INDUSTRY, Privacy, Virus & Threats on April 15, 2019 by Ionut Arghire. This entry was posted in Cybercrime, NEWS & INDUSTRY, Virus & Threats on April 15, 2019 by AFP. This entry was posted in Cybercrime, Malware, NEWS & INDUSTRY, virus & malware, Virus & Threats, Vulnerabilities on April 15, 2019 by Eduard Kovacs. Matrix.org had its systems hacked and its website defaced by someone who decided to disclose the security issues found during the attack. This entry was posted in Cybercrime, data protection, Incident Response, NEWS & INDUSTRY, Virus & Threats, Vulnerabilities on April 12, 2019 by Eduard Kovacs. News broke this week that the threat group behind the notorious malware known as Triton, Trisis and HatMan has targeted another critical infrastructure facility. This entry was posted in Cybercrime, Cyberwarfare, Ics, Incident Response, Malware, Management & Strategy, NEWS & INDUSTRY, Scada, virus & malware, Virus & Threats on April 12, 2019 by Eduard Kovacs. A large portion of the infrastructure related to a Middle Eastern threat actor known as Gaza Cybergang was taken down after their latest operations were uncovered, Kaspersky Lab’s security researchers reveal. This entry was posted in Cybercrime, Cyberwarfare, Malware, NEWS & INDUSTRY, virus & malware, Virus & Threats on April 11, 2019 by Ionut Arghire. Kaspersky Lab security researchers have discovered a sophisticated advanced persistent threat (APT) framework that provides a full set of spying capabilities. This entry was posted in Cybercrime, Malware, NEWS & INDUSTRY, virus & malware, Virus & Threats on April 10, 2019 by Ionut Arghire. An underground invitation-based private marketplace for stolen digital fingerprints offers more than 60,000 stolen bot profiles at the moment, Kaspersky Lab reports. This entry was posted in Cybercrime, Fraud & Identity Theft, NEWS & INDUSTRY, Virus & Threats on April 10, 2019 by Ionut Arghire. The tools and techniques used by the threat group behind the notorious Triton malware show that the hackers are focused on maintaining access to compromised systems, according to FireEye. This entry was posted in Cybercrime, Cyberwarfare, Ics, Incident Response, Malware, NEWS & INDUSTRY, Scada, virus & malware, Virus & Threats on April 10, 2019 by Eduard Kovacs. This entry was posted in Cybercrime, Cyberwarfare, Incident Response, Malware, NEWS & INDUSTRY, SCADA / ICS, virus & malware, Virus & Threats on April 10, 2019 by Eduard Kovacs. This entry was posted in Cybercrime, NEWS & INDUSTRY, Virus & Threats, Vulnerabilities on April 9, 2019 by Eduard Kovacs. This entry was posted in iot security, NEWS & INDUSTRY, virus & malware, Virus & Threats on April 9, 2019 by Ionut Arghire. The Flame platform was believed dead following public exposure in 2012, but recently discovered evidence suggests that it remained alive, albeit very well hidden, security researchers at Alphabet-owned Chronicle reveal. This entry was posted in Cybercrime, Cyberwarfare, Malware, NEWS & INDUSTRY, virus & malware, Virus & Threats on April 9, 2019 by Ionut Arghire. The discovery of Duqu 1.5 shows that the threat actor behind the malware did not go dark — as previously believed — after their operations were exposed by security researchers in 2011. A new component discovered by researchers at Chronicle, a cybersecurity company owned by Google parent Alphabet, suggests that a fourth team was involved in the early development of the notorious Stuxnet malware. This entry was posted in Cybercrime, Malware, NEWS & INDUSTRY, virus & malware, Virus & Threats on April 9, 2019 by Eduard Kovacs. This entry was posted in Cybercrime, Fraud & Identity Theft, Incident Response, Management & Strategy, NEWS & INDUSTRY, Virus & Threats on April 8, 2019 by Eduard Kovacs. This entry was posted in audits, iot security, NEWS & INDUSTRY, virus & malware, Virus & Threats on April 5, 2019 by Eduard Kovacs. Canada's foreign minister warned Friday that outside interference in the country's upcoming parliamentary election was "very likely". "We are very concerned. Our judgement is that interference is very likely and we think there have probably already been efforts by malign foreign actors to disrupt our democracy," Chrystia Freeland said. This entry was posted in Cyberwarfare, Fraud & Identity Theft, Management & Strategy, NEWS & INDUSTRY, Risk Management, Virus & Threats on April 5, 2019 by AFP. A recently identified malware family is actively scanning the Internet for exposed web services and default passwords, AT&T Alien Labs reports. This entry was posted in Cybercrime, Malware, NEWS & INDUSTRY, virus & malware, Virus & Threats on April 4, 2019 by Ionut Arghire. Hundreds of users have been targeted with malware over the past month as part of attacks that Kaspersky Lab has linked to last year’s Roaming Mantis campaign. The Leverkusen-based group "detected indications of (hacker group) Winnti infections at the beginning of 2018," a spokesman told AFP, confirming reports by German public broadcasters BR and NDR. This entry was posted in Cybercrime, Incident Response, Malware, Management & Strategy, NEWS & INDUSTRY, virus & malware, Virus & Threats on April 4, 2019 by AFP. Long equipment life cycles and other factors expose manufacturing companies to a wide range of threats, according to a new report published on Wednesday by Trend Micro. This entry was posted in Management & Strategy, NEWS & INDUSTRY, Risk Management, SCADA / ICS, virus & malware, Virus & Threats, Vulnerabilities on April 3, 2019 by Eduard Kovacs. 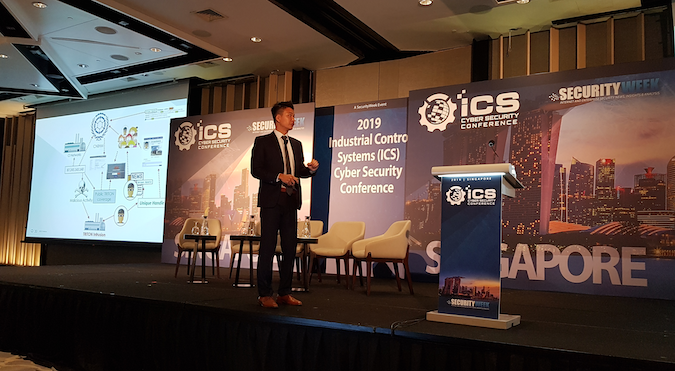 This entry was posted in Ics, Management & Strategy, NEWS & INDUSTRY, Risk Management, Scada, virus & malware, Virus & Threats, Vulnerabilities on April 3, 2019 by Eduard Kovacs. Earl Enterprises on Friday admitted that cybercriminals had stolen payment card data from tens of the restaurants it owns over a period of 10 months. This entry was posted in Cybercrime, Fraud & Identity Theft, Malware, NEWS & INDUSTRY, virus & malware, Virus & Threats on April 1, 2019 by Eduard Kovacs. Britain has identified "significant" issues in Huawei's engineering processes that pose "new risks" for the nation's telecommunications, a government report found Thursday amid lingering global suspicion over the Chinese technology giant. This entry was posted in compliance, Cyberwarfare, Management & Strategy, Mobile & Wireless, Mobile Security, NEWS & INDUSTRY, Privacy & Compliance, Virus & Threats, Wireless Security on March 28, 2019 by AFP. This entry was posted in Cybercrime, Malware, NEWS & INDUSTRY, Virus & Threats, Vulnerabilities on March 28, 2019 by Eduard Kovacs. Microsoft on Wednesday announced that it had taken control of 99 domains used by an Iran-linked cyberespionage group it tracks as Phosphorus. This entry was posted in Cybercrime, Fraud & Identity Theft, Incident Response, Management & Strategy, NEWS & INDUSTRY, Phishing, Tracking & Law Enforcement, Virus & Threats on March 28, 2019 by Eduard Kovacs. Nearly half of the industrial control system (ICS) computers protected by Kaspersky Lab were targeted by malware and other threats in 2018, according to the company’s latest industrial threat landscape report. This entry was posted in Ics, NEWS & INDUSTRY, Scada, Virus & Threats on March 27, 2019 by Eduard Kovacs. This entry was posted in NEWS & INDUSTRY, SCADA / ICS, Virus & Threats on March 27, 2019 by Eduard Kovacs. SecurityWeek RSS Feed: Iran-Linked Cyberspy Group APT33 Continues Attacks on Saudi Arabia, U.S.
An Iran-linked cyberespionage group tracked as Elfin and APT33 continues targeting organizations in Saudi Arabia and the United States, Symantec reported on Wednesday. This entry was posted in Cybercrime, Malware, NEWS & INDUSTRY, virus & malware, Virus & Threats on March 27, 2019 by Eduard Kovacs. This entry was posted in Cybercrime, disaster recovery, Incident Response, Malware, Management & Strategy, NEWS & INDUSTRY, virus & malware, Virus & Threats on March 26, 2019 by Eduard Kovacs. At least some variants of the LockerGoga ransomware, a piece of malware involved in several recent high profile attacks, do not encrypt files on a compromised device if a certain type of shortcut file is found in a specific Windows folder, researchers discovered. This entry was posted in Cybercrime, Malware, NEWS & INDUSTRY, virus & malware, Virus & Threats on March 26, 2019 by Eduard Kovacs. Operations at two major US-based chemical companies, Hexion and Momentive, were disrupted recently by a cyberattack reportedly involving LockerGoga, the ransomware that recently hit Norwegian aluminum giant Norsk Hydro. This entry was posted in Cybercrime, Ics, Incident Response, Malware, Management & Strategy, NEWS & INDUSTRY, Scada, Virus & Threats, Vulnerabilities on March 25, 2019 by Eduard Kovacs. This entry was posted in Cybercrime, Incident Response, Malware, Management & Strategy, NEWS & INDUSTRY, SCADA / ICS, Virus & Threats, Vulnerabilities on March 25, 2019 by Eduard Kovacs. Norwegian aluminum giant Norsk Hydro has been hit by a serious ransomware attack that caused disruptions at some of its plants and forced the company to turn to manual processes to fulfill customer orders. This entry was posted in Cybercrime, Incident Response, Malware, Management & Strategy, NEWS & INDUSTRY, virus & malware, Virus & Threats on March 22, 2019 by Eduard Kovacs. Norwegian metals and energy giant Norsk Hydro is working on restoring systems after being hit by ransomware, but the company says it does not plan on paying the hackers. This entry was posted in Cybercrime, Cyberwarfare, data protection, disaster recovery, Incident Response, Malware, Management & Strategy, NEWS & INDUSTRY, virus & malware, Virus & Threats on March 20, 2019 by Eduard Kovacs. This entry was posted in Cybercrime, disaster recovery, Ics, Incident Response, Malware, Management & Strategy, NEWS & INDUSTRY, Scada, virus & malware, Virus & Threats on March 19, 2019 by Eduard Kovacs. This entry was posted in Cybercrime, disaster recovery, Incident Response, Malware, Management & Strategy, NEWS & INDUSTRY, SCADA / ICS, virus & malware, Virus & Threats on March 19, 2019 by Eduard Kovacs. One of the world's biggest aluminium producers, Norway's Norsk Hydro, said Tuesday it had been hit by a cyber-attack of unknown origin. "Hydro became victim of an extensive cyberattack in the early hours of Tuesday, impacting operations in several of the company's business areas," the energy group said in a statement. This entry was posted in Cybercrime, Ics, Incident Response, Management & Strategy, NEWS & INDUSTRY, Scada, Virus & Threats on March 19, 2019 by AFP. This entry was posted in Cybercrime, Incident Response, Management & Strategy, NEWS & INDUSTRY, SCADA / ICS, Virus & Threats on March 19, 2019 by AFP. Europol on Monday announced the adoption of a new protocol for how law enforcement authorities in the European Union and beyond will respond to major cross-border cyberattacks. This entry was posted in Cybercrime, disaster recovery, Incident Response, Management & Strategy, NEWS & INDUSTRY, Virus & Threats on March 18, 2019 by Eduard Kovacs. This entry was posted in Cybercrime, Cyberwarfare, data protection, Management & Strategy, NEWS & INDUSTRY, Risk Management, Virus & Threats on March 18, 2019 by AFP. China will "never" ask its firms to spy on other nations, Premier Li Keqiang said Friday, amid US warnings that Chinese telecommunications behemoth Huawei poses security risks. This entry was posted in compliance, Cybercrime, Cyberwarfare, NEWS & INDUSTRY, Privacy, Privacy & Compliance, Virus & Threats on March 15, 2019 by AFP. This entry was posted in Cybercrime, Cyberwarfare, Malware, NEWS & INDUSTRY, virus & malware, Virus & Threats, Vulnerabilities on March 15, 2019 by Eduard Kovacs. Researchers from Chinese cybersecurity firm Qihoo 360 have made public technical details that can be used to construct a proof-of-concept (PoC) exploit for CVE-2019-0808, a recently patched Windows vulnerability that has been involved in targeted attacks. This entry was posted in NEWS & INDUSTRY, Virus & Threats, Vulnerabilities on March 15, 2019 by Eduard Kovacs. Security concerns about the role of Huawei in Western 5G telecom infrastructure are to be taken seriously, the head of NATO said Thursday, as Washington steps up pressure on Europe not to use the Chinese firm. This entry was posted in compliance, Cybercrime, Cyberwarfare, Management & Strategy, Mobile & Wireless, Mobile Security, NEWS & INDUSTRY, Privacy & Compliance, Risk Management, Virus & Threats, Wireless Security on March 15, 2019 by AFP. This entry was posted in Cybercrime, Cyberwarfare, Incident Response, Management & Strategy, NEWS & INDUSTRY, Virus & Threats on March 14, 2019 by Eduard Kovacs. This entry was posted in NEWS & INDUSTRY, Virus & Threats on March 14, 2019 by Associated Press.